Plus Beethoven's "Archduke" Trio. The Prometheus Trio opens season with a bang. The Prometheus Trio opens its 19th season at the Wisconsin Conservatory of Music with a concert performed next Monday and Tuesday evening. The trio enters a fourth season with violinist Margot Schwartz joining founding members Scott Tisdel and Stefanie Jacob. This concert offers the usual mix of contemporary, little known and classic favorites. The not-too-contemporary work dates to 1925. Frank Martin, a 20th century Swiss composer (with a name pronounced as French – ‘mar-tan’ – soft n) wrote only one Irish work – for a commission. His Trio sur des mélodies populaires irlandaises offers a mix of Irish dance tunes within a polyrhythmic structure with appropriately frenetic results. The American who commissioned the work was not happy with the result, but prepare to be charmed. Claude Debussy‘s only piano trio, Piano Trio in G Major (1880), was written at age 18, before Debussy had developed his insistently revolutionary approach to composition. Nearly lost, this pleasant work has been reconstructed. Critic Roger Nichols argues that this early work “cannot be said to be anything more than salon music, written to give immediate pleasure, and as such does not merit deep analysis.” But Jacob disagrees. “I think it’s better than that,” she says. She views the opening form as influenced by Debussy’s experience writing art songs, with a piano introduction followed by a singing violin or cello. A clever scherzo-intermezzo opens with pizzzicati, contributing to a light and lively dance. The slow movement Andante espressivo features a gorgeous cello melody, shared and expanded by the group. The trio ends with a quiet intensity, exploring tempos and dramatic energy without losing a pleasant lyricism. In the third (andante cantabile) movement. Beethoven introduces a tranquil hymn, subject to extraordinary variations — one of Beethoven’s many strengths. Christiansen observes “a broad, noble theme [that] sets the mood and a series of variations [which] display Beethoven’s inexhaustible invention, his full exploration of piano trio textures, and an overarching dramatic design that continually expands the simple, heartfelt tune into an elevated poem.” Beethoven breaks the mood of the movement by plunging without a break into the lively rondo finale. But for me, the andante cantabile movement leaves the lasting impression. The Prometheus Trio often offers concerts which include either challenging contemporary compositions or sweeping, but emotionally exhausting classical works. This program promises to be more even keeled — a pleasant escape offered by an accomplished trio. 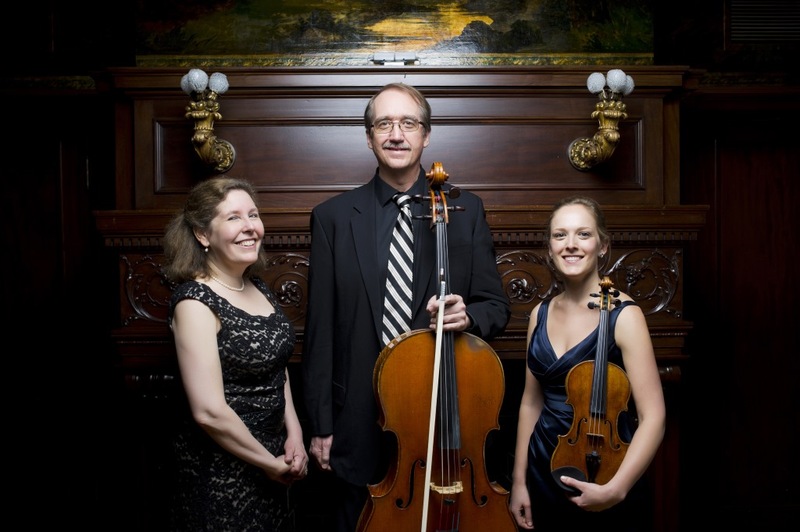 The Prometheus Trio will perform twice – at 7:30 p.m. Monday, October 1 and Tuesday, October 2 at the Wisconsin Conservatory of Music on 1584 N. Prospect Ave. General admission tickets may be purchased for $27.50 on the WCM website, at 414-276-5760 or at the door. $37.50 will purchase padded front row seats, but the Conservatory ballroom offers an excellent acoustic anywhere in the room. Complimentary parking is available at Milwaukee Eye Care, 1684 N. Prospect Ave., located one block north of the Conservatory, for evening concerts. The Trio’s next concert is scheduled for December 3 and 4 at 7:30 p.m. That concert will feature a Brahms piano quartet with guest violist, Robert Levine. The Frank Martin piece, “Trio sur des melodies populaires irlandaises” was hardly an Irish dance tune. For shame.